A major investment program is helping to transform Russia’s more remote regions into world-class tourist destinations. From elk farms and dogsled races to the land of Ghengis Khan, a spotlight fell on the lesser-known corners of Russia this month when the Russian Tourism Roadshow reached London. Vast and remote areas of the country with distinctive local cultures are being opened up to tourism thanks to a $12 billion investment program announced last year. The cash is being spent on marketing as well as building projects, and 50,000 sq km (19,000 sq miles) have been earmarked for development in the next seven to 10 years. In his opening speech to the roadshow, its last stop after calling at Berlin and Paris, Russian Ambassador to the UK Alexander Yakovenko said that tax breaks and economic zones offered opportunities in hospitality, health and sport. Of the country’s 83 regions, 48 will benefit from investment. Eight were highlighted at the roadshow held at Rossotrudnichestvo, the embassy’s new cultural centre in Kensington High Street, with British tour operators in the audience. Each regional representative reported on infrastructure developments, and outlined the selling points of their regions. Ivanovo is the region to head for if you are an arts and crafts enthusiast. Lying on the Volga River 300 km (186 miles) from Moscow – and less than an hour’s flight from it – its rivers and lakes make it a popular boating centre, and many tourists arrive by cruise ship. In 2011 there were nine million visitors, up 9 percent on the previous year. Its services are well developed for local tourists, said Andrey Chuzhbinkin, the local government officer in charge of the developments. But there are plans to spend $ 3.2 billion developing the infrastructure along the Volga. Much of the focus is on the attractive riverside town of Plyos, where the dream world of old Russia is said to still exist. A new harbour is being built, as well as six new hotels, a tourist complex and leisure centres. Accommodation is about £50 a night, and a French company is involved in a project to house tourists with locals. The old town of Palekh is world famous for its lacquered boxes, and a new building devoted to the fairytale character, Firebird, is among the developments. Also within Moscow’s Golden Ring and vying for Russia’s heart and soul are the regions of Vladimir and Kostroma. The the historic city of Vladimir and the museum town of Suzdal are already firmly on the tourist map, not least as centres of regional gastronomy. Hotel accommodation has doubled in the past five years. The attractions in the rural Kostroma region, another riverboat trip away from Moscow, include an elk farm (elk milk is supposed to have medicinal qualities) and dogsled races. 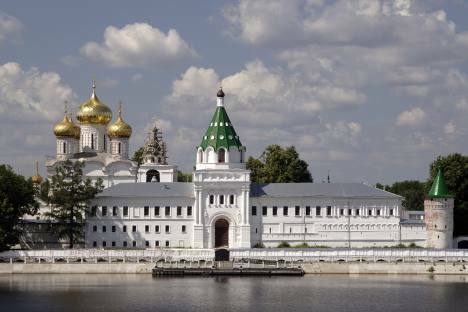 Kostroma is known for its linen and filigree work – half of all Russian jewellery is made here. Further east, bordering Mongolia, is the mystical Republic of Buryatia on the eastern shore of little-visited Lake Baikal, the world’s oldest and deepest lake. Tourist development is taking place at the fishing village of Turka, the beach resort of Peski, two spa resorts and a ski area. About $ 1.3 billion has been spent to date and, to address the lack of necessary infrastructure, investors are being invited to join state-backed projects. The airport at the capital Ulan-Ude is 10 hours from London, and there is a variety of landscapes to explore: the lake, taiga and dry desert can all be seen in a day, and there is skiing in Tuninskaya Valley, known as the Siberian Alps. Buryatia also has a spiritual heritage: shamans, Buddhists and Old Believers find inspiration here and tourism initiatives include Buddhist temple tours. Further east still, and evidence of the enormous extent of the country, is the Republic of Yakutia, the largest in the Russian Federation and the coldest inhabited region in the northern hemisphere. Sakha, a Turkic language, was the mother tongue of representative Dr Svetlana Yegorova-Johnstone, who described a visit to the republic as “a trip into the planet’s past”. A new airport will be completed this year and several tourist developments are planned. The image of Tatarstan, an important industrial region, has been transformed since it was announced that Kazan was to be a host city for the 2018 World Cup. Now Russia’s “sports capital”, which is 75 minutes’ flight or an overnight sleeper from Moscow, is being branded as part of the Three Russian Capitals itinerary, with St Petersburg and Moscow. Located on the Volga River, Kazan is also a stop for river-cruise tours. This is the land of Genghis Khan. The Kazan Kremlin, a Unesco World Heritage site, is the only surviving Tatar fortress in Russia. The ancient city of Bulga, 30km (19 miles) away and also on the Volga and the Orthodox monastery on the island town of Sviyazhsk are being promoted, while Kazan’s musical heritage is celebrated in the Shalyapin music festival and the Nureyev ballet festival. Sport is also putting the spotlight on Krasnodar Krai, where Sochi is gearing up for the 2014 Winter Olympics. Russia's southernmost region, bordering both the Black Sea and the Sea of Azov, hosts around 11 million tourists each year, with 1,600 small and medium hotels. New ones include chains such as Kempinski and Marriott, which is opening three. English-speaking doctors were being recruited and signs are going up in English, a practice that it was hoped would be more widely adopted. Already, much of the infrastructure is in place but more work is needed on the transport system. In the Russian Tourism Roadshow workshop that followed in the afternoon, emphasis was placed on improvements in transport and travel, training of people in the hospitality industry and the need to ensure all hotels are listed on websites.